Some of the world's best session musicians will be hosting a free Q + A session in London at the Gibson Guitar Studio on Tuesday 7 February at 1pm. The AllStars Collective are a group of session players that between them have appeared on recordings and played live with the likes of Prince, Michael Jackson, Jeff Beck, Mark Ronson, Brian May, Sir Paul McCartney and Amy Winehouse, and they'll be taking questions from a small crowd at Gibson's London HQ. Gibson has set aside 10 places for Total Guitar readers and all you have to do to claim them is head to www.facebook.com/gibsonguitaruk, 'like' their page and then add your name to the list on the wall. The Gibson Guitar Studio is located at 29-35 Rathbone Street, London, W1T 1NJ. 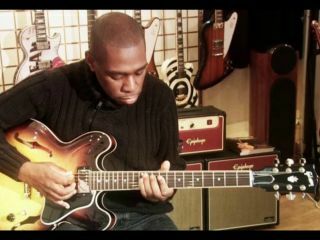 Check out the video of a previous Gibson Tech Talk above.